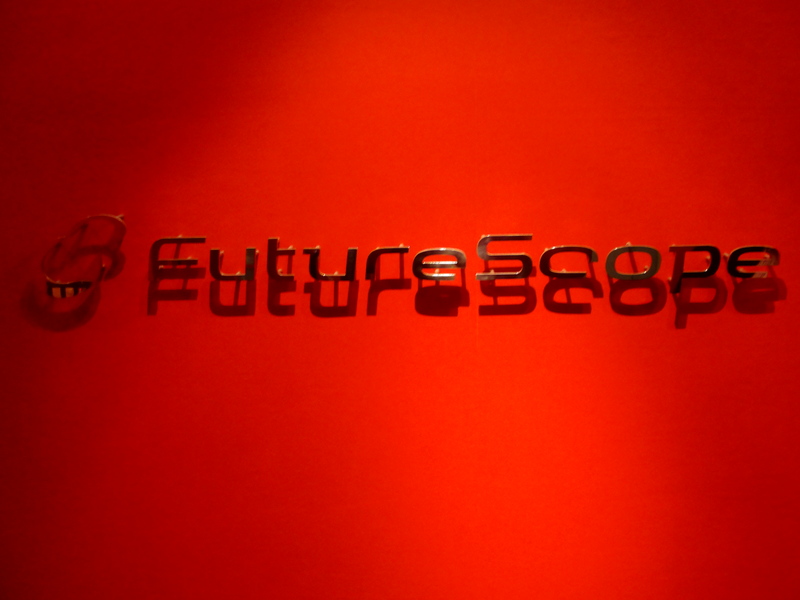 After we visited DNP, we went to FutureScope, which is a company that distributes services and content for mobile phones. FutureScope is a member of the Fields Corporation Group, which primarily develop and sell pachinko machines. Fields is made up of other companies like Lucent Pictures and Digital Frontier for example. Lucent Pictures is a company that mainly produces animated features, some of which has won the Best Animated Feature Award. One interesting fact about FutureScope is that they actually own the distribution rights for the Neon Genesis Evangelion franchise, which is like Gundam, another popular series in Japan. Afterwards, we met the group that worked for Digital Frontier, which is a motion picture company that specializes in full CG (computer generated) animation. Some of their most well know work include the live action versions of Death Note and GANTZ, both of which are very popular in Japan, the most recent animated Resident Evil movie, and they even worked on the animation for Metal Gear Solid 4. Digital Frontier also houses one of Asia’s largest motion capture studio, it would be interesting to see if that’s true or not. After our visit with FutureScope, our professor took us all out for a yakiniku dinner. 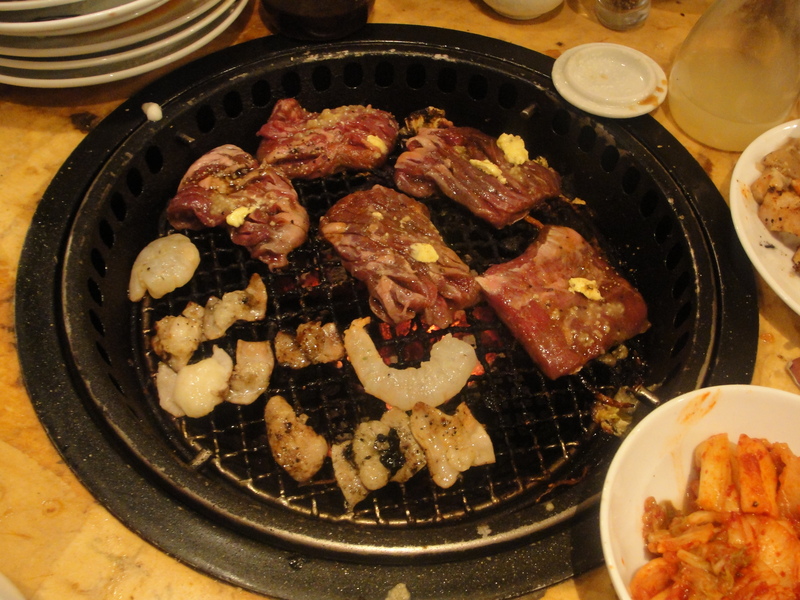 Yakiniku is where all of the meat is delivered raw, and we cook it ourselves in a table top grill. Some of the meat was interesting to say the least. While they did have the standard beef, there was also cow shoulder, tongue, and stomach. I think it would be wise for someone to actually do a little bit of research about yakiniku before they decide if they want to try it, just as a forewarning. It was nice to get everyone together before we went our separate ways, I really hope we all can get together again when we return to East Lansing. Posted on June 10, 2012, in Site Visits and tagged Anime, Culture, Food, Japan, Michigan State University, MSU, Study Abroad, Technology, Video Games. Bookmark the permalink. 3 Comments. I was so impressed with Futurescope and everything they had their hands in. 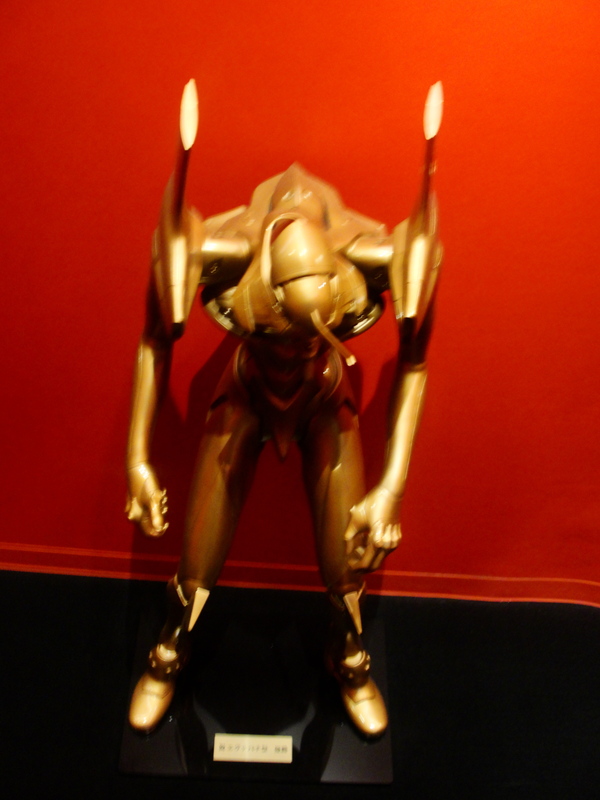 The fact that they owned such renowned animation studios really blew my mind. Getting to meet the CEO and Yoshi-san was a great experience. I also was impressed with their faces when they know they just ate cow’s tough at the dinner. Actually, Yakiniku is popular not only in Japan, but also in other Asian countries. It is said that it was oriented in Korea. So in China, we call it “Korean style BBQ”. There are two resturants that serves Yakiniku near East Lansing. One in in Flanmington, another is in Troy. Let’s try them!